This consultation has now ended (Wednesday 3 October 2018). Open government is the simple but powerful idea that governments and institutions work better for citizens when they are transparent, engaging and accountable. 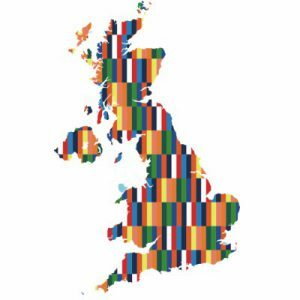 The Open Government Partnership (OGP), of which the UK is a founding member, brings together government reformers and civil society leaders to create action plans that make governments more inclusive, responsive and accountable. Every two years, each member nation of the OGP creates a National Action Plan setting out specific commitments to transparency, civic participation and public accountability. The UK National Action Plan sets out a shared set of ambitions held by government and UK civil society in the pursuit of open government reform in the UK. They list specific commitments, milestones and timelines by which we can monitor progress and better enable civil society and citizens to hold Government to account. This consultation document represents the culmination of the co-creation process between government and civil society so far, and sets out a set of early draft commitments for further comment. More background information can be found in the document for consultation. You can also contact the OGN coordinator. This consultation is an important stage in the development process through which to strengthen the plan. Constructive external challenge is vital to this. We are grateful for your time in reviewing this document and sharing your feedback. This Google Doc has been created for the purpose of consulting on the UK’s draft National Action Plan for Open Government (2018 – 2020). You’re welcome to make comments and suggestions directly in the document, using the comments function – highlight part of the document, then select the + box to add a comment. Please note that this is a public Google Doc, and any comments you make will be visible publicly. It is, therefore, advisable that you ensure your comments are in line with your organisation’s policies and public position. If you’re commenting on behalf of an organisation please make it clear which organisation you represent within your feedback. We welcome involvement from a broad range of organisations. If your organisation is supportive of or would like to be involved in further development or delivery of a commitment, please add your organisation’s name to the list of ‘other actors involved’. Any abusive or offensive comments will be removed. The consultation will be open from 5th September until 3rd October 2018, after which it will no longer be possible to comment on the document. Thank you for your contribution to the UK Government and Open Government Network’s consultation on the UK’s next National Action Plan for Open Government. The consultation saw 24 individuals representing over 20 organisations comment on the open google doc and 6 further responses via email from both individuals and organisations. The Open Government Network also contributed a response representing what we have heard from members of our network. Your contribution to this consultation is really important to the process of developing the UK national action plan for open government. It builds upon the crowdsourcing and co-creation process so far undertaken by Government and the Open Government Network, and will help further improve the proposed commitments. Developing, securing and implementing lasting open government reform is only possible with ongoing collaboration between citizens, civil society, political and official champions and other stakeholders. DCMS is now analysing all the comments and feedback received to ensure it is taken into account as the national action plan is developed further towards a final version. Later in October Government and the OGN will co-chair the third open government multistakeholder forum (MSF), to discuss the development of the national action plan towards this final version, and we will continue to work together to develop the final commitments. A final version of the national action plan is then due to be published on the OGN website and gov.uk by the end of this year.